The lovely thing about sunny bank holiday weekends, the chance to laze about in the garden with good books! Heaven! Being very far from anywhere exotic however, I chose two books set in rural France, so at least I could imagine I was on a proper holiday while I sipped my cheap French beer. I’d not come across Martin Walker and his fictional detective hero Bruno Courreges before, but found myself thoroughly enjoying these murder mysteries set in the small town of St Denis, and although I’d not read previous escapades it did not detract from the experience. 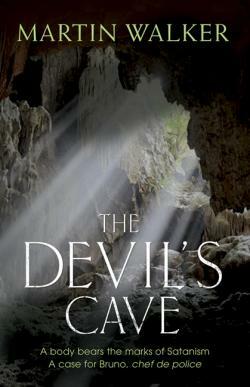 In The Devil’s Cave, Bruno, chef de police, is charged with solving the mysterious death of a young woman found floating naked and dead in a small boat down the river, with signs that her death may involve sinister rituals. Before long the local press are having a field day invoking rumours of a satanic cult and some of the local people are encouraging the stories in an attempt to increase the tourist trade. Dealing with local politics, including protests about the development of a tourist resort in the town, leads Bruno into a complex case of financial, sexual and historical intrigue, all the while trying to balance his own complicated love life. 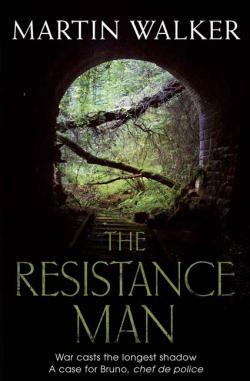 In The Resistance Man, an antiques dealer is found dead and the prime suspect is linked to a conspiracy harking back to the Second World War, while Bruno has to deal with his own guilt about a previous case of homophobic violence that is far too close to his current assignment. This is an unusual novel which in many ways is a straightforward detective story – a dedicated cop, beset by family troubles, surrounded by incompetence, following a case mired in conspiracy and replete with red herrings. But set that in a pre-apocalyptic scenario and it starts to question human nature way beyond the norm – not just “why do people act in such a way?” but also “how would you react to imminent, inescapable doom?”. And characters’ complex reactions to the asteroid are integral to the development of the investigation and the big reveal. Just how would you react – would you go into denial, stay at your post, get high on drink or drugs, join a cult offering salvation? The concept neatly messes with characters’ motivation so you as the reader can take nothing for granted. The rules have subtly, inevitably changed. I really liked Hank’s character – his single-minded determination to do the right thing, his compassion, his dry perspective. I really, really wanted the resolution to the murder mystery to save the world, but that would be too simple, and as there are two more forthcoming novels about Hank Palace, I fear that he will be staying at his post until the inevitable end of days… The Last Policeman is a very good genre-bending read and I’ll certainly be following gumshoe Hank’s fortunes in the sequels. As for what I’d do if there was six months left – well that would be telling! 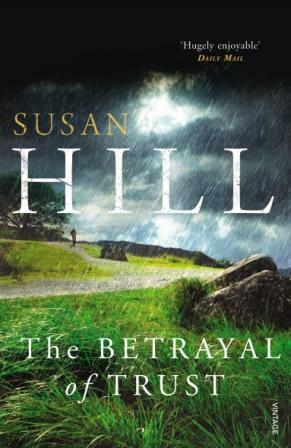 I seem to be forever recommending Susan Hill to people, either for her wonderful ghost stories or her unusual crime novels. Posters advertising this book are currently plastered all over my local railway station so I hope the commuter population takes note! I always look forward to the next Simon Serrailler mystery, as much to follow the fortunes of the Serrailler family as to become immersed in the intricate crime story. 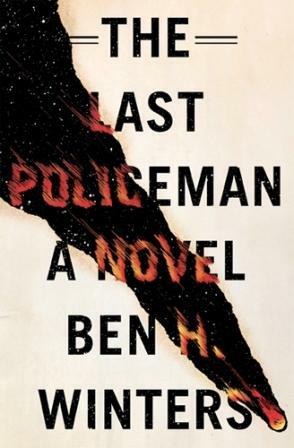 This latest in the series follows various betrayals of trust at different levels, and Hill invests the domestic plotlines with as much gravitas, care and attention as the murder at the novel’s core. Serrailler’s life is increasingly complicated and we start to see just how his self-absorption affects those who love him and depend upon him; he is no stereotypical flawed maverick detective, he is simply a flawed human being, and this marks him apart from his peers in the genre. He’s not the easiest protagonist to get to grips with either; he’s elusive and this provokes different reactions in readers who seem to either be intrigued by, or frustrated by, his emotional sleights of hand. Personally I like the ambiguity of his character and the way Hill allows other characters to hold the centre-stage, building Serrailler in a slow but sure reveal. One day three children – Peter, Jamie and Adam – go into the woods to play, but only Adam returns, with someone else’s blood in his shoes and no memory of what happened. Years go by and the two missing children are never found; but Adam, going by the name Rob Ryan, is now a police officer, and finds himself back in the woods at Knocknaree, investigating the murder of a young girl whose body has been found at an archaeological dig. Are the cases connected? And will Rob’s connection to the cold case impair his judgement when it most matters?